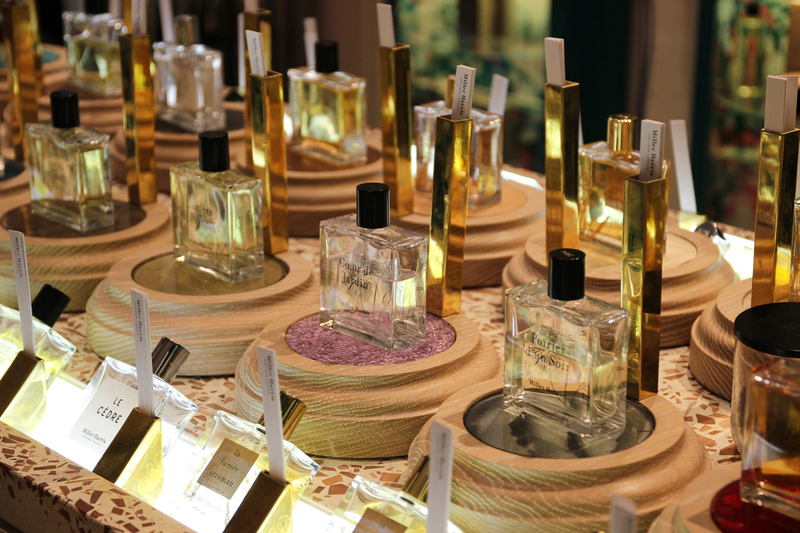 Miller Harris believe that fragrance is about more than just a smell; it’s an experience. This is why each of their London stores have been designed to a specific theme, with each location utilising sound, sight, smell and even taste to create a unique experience. Their White City Westfield store has a beautiful poetry theme to it, with gorgeous woven quotes on the walls, books stacked around the store and colourful flowers twisting and turning in every corner. 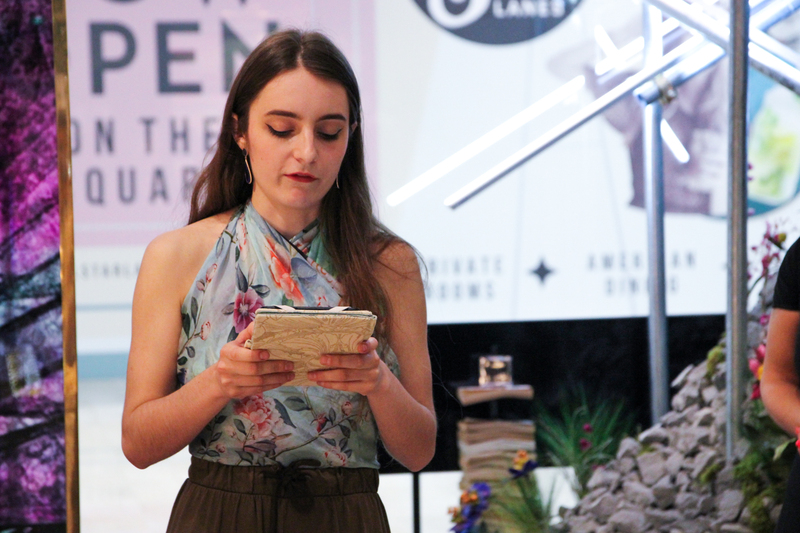 In a tasteful nod to their theme, Miller Harris held the first of many poetry events to be held at this store in collaboration with The Poetry Society. Two talented wordsmiths, Flora de Falbe and Rachel Long presented a number of pieces they’d written about personal experiences in their lives that had the intimate gathering transfixed. Beautifully presented canapes were served alongside sparkling wine, making sure every one of our four senses was taken care of. Further cementing their belief that fragrance is about more than just the smell, a special collection of perfumes from Miller Harris were inspired by a particular passage from F. Scott Fitzgerald‘s ‘Tender is the Night’. The collection is features two beautiful fragrances, one light and one heavier, named ‘Scherzo’ and ‘Tender’. To hear the beautiful story behind these scents and smell them for yourself, make sure you head into a Miller Harris store for the full experience. Miller Harris’ Westfield store will be hosting a series of events in collaboration with The Poetry Society, so keep your eyes and ears our for coming dates.